Special Stainless Steel Sections including Laser Fusion Welded Sections and Precision Ground Marine Propeller Shafting under the Nauticalloy Brand, whatever your need Millstock Stainless can deliver. Millstock Stainless Limited has over many years forged strategic alliances and Partnerships with a number of key stainless steel producers, which enables us to offer quality products to meet your exact requirements. Millstock Stainless is the official agent of Montanstahl AG for special project business in the UK and is responsible for sales and marketing of laser fused stainless steel sections produced by Montanstahl. The company offers a very high degree of expertise and consultancy on projects which require special profiles and / or special steel grades. Our on-going commitment to invest in new equipment, the working environment and to develop our expanding team ensures that we can build upon the quality, service and reliability that are the foundations of our business. We opened our new, modern premises, designed to allow expansion of the stock we hold and to offer a more efficient and effective service in 2012. It houses state of the art equipment in a clean and spacious environment. 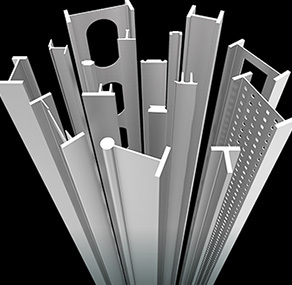 This enables us to offer a wide and varied range of both materials and products, supported by our extensive stock range and global supply chain that will meet all your stainless steel requirements. An extensive range of Special Stainless Steel Sections (a full brochure PDF) can be supplied, including an ever increasing range of Special Laser Fusion Welded Sections that give greater flexibility when it comes to choice of material grade, section size and thickness. All of which can be produced with shorter lead times than traditional hot rolled sections, whilst not compromising on strength. Our Laser Fusion Welding process is now included in the specification ES_0_5394_2 this now makes it even easier to choose the correct Stainless Steel Special Sections (a full brochure PDF) for an increasing number of Nuclear Applications. We are very proud of our Precision Grinding Facility that can produce material up to 220mm (8.3/4”) dia and in lengths up to 15 metres (50ft) long enables us to supply your precision ground shafts to very tight tolerances. For Marine applications we can also supply all material we offer complete with 3rd party inspections such as LRS, DNV, ABS, BV, RINA, GL and many more.